of claims against long-term care facilities, assisted living facilities, and other aging services providers across the country will not want to miss this preeminent seminar. 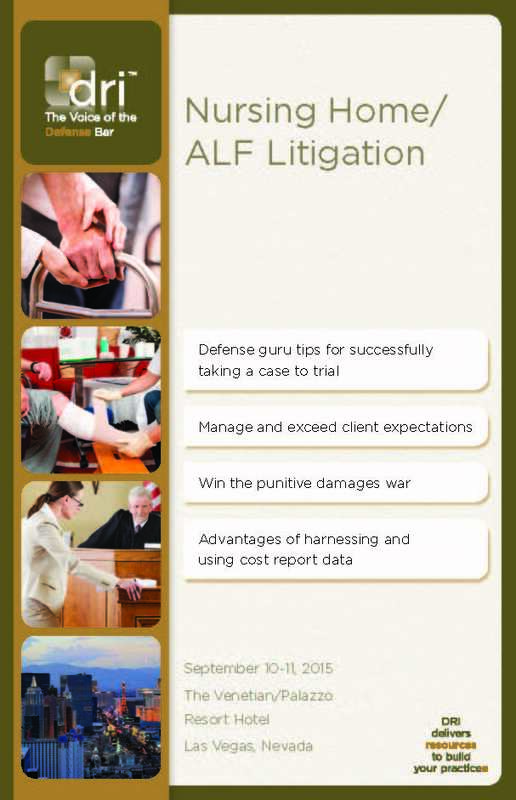 Combining top-notch education and networking in an extraordinary city like Las Vegas makes the 2015 DRI Nursing Home/ALF Litigation Seminar a “must attend” event. Be sure to stop by the GRG booth while your at this year's conference! If you still need to register, please click here.